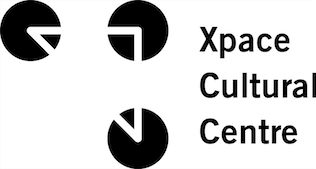 Xpace Cultural Centre has an upcoming Submissions deadline on November 8th, 2014. We will be programming three open calls: the Images Festival, the Politics of Design, and the External Spaces (located on OCADU campus). 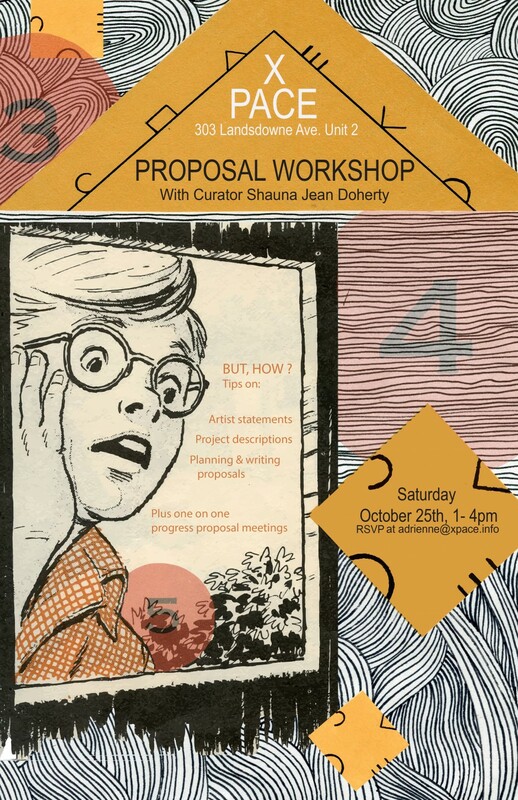 We will be holding a Proposal Workshop for help with the planning and writing of your project proposal. You can view all three submission call on our website at www.xpace.info under the Submissions tab. Bring in your project proposals (completed or partial) and we can give you feedback! Toronto Curator Shauna Jean Doherty will be joining the Xpace staff to talk about her experiences in applying to calls for submissions, putting out calls for submissions, and what she looks for in proposals, specifically in relation to the Images festival call that she will be curating. The workshop is free and open to anyone, but please RSVP to [email protected] to reserve your spot. Shauna Jean Doherty graduated from the University of Toronto with a Bachelor of Arts Degree (Hons), double majoring in Book and Media Studies and Semiotic Theory and Communications. With a foundation in semiotic theory and deconstruction, these themes recur in both her curatorial projects and art practice. Shauna Jean has curated independently in Toronto since 2009 in a variety of commercial and artist-run spaces and has written arts reviews for Daily Serving and the Journal of Curatorial Studies. In the summer of 2013 she served as assistant curator at Hashtag Gallery in Toronto and interned at the Art Gallery of Ontario for the First Thursdays Program. She has since served as programming assistant for the First Thursdays at the Art Gallery of Ontario and programming assistant at Hamilton Artists Inc. She is currently developing a curatorial project for Vtape as a component of the Curatorial Incubator 2014.